Malta is one of Europe’s favorite Mediterranean tourist destinations. All types of accommodation do exist along the Islands of Malta, Gozo and even Comino. Finding a hotel in Malta is not difficult and you just need to take a bit of your time to explore the possibilities and you’ll definitely get what you are looking for in terms of accommodation in Malta. Hotels in Malta are spread all around the archipelago and probably all the cities and towns provide different kinds of accommodation. Malta offers different hotels, guest houses, youth hostels and camping sites. On this page we’ll try to organize different hotels and types of accommodation in order to facilitate your search for hotels in Malta. We separate hotels by quality and price – easy. This website doesn’t have a commercial intention on presenting you hotels. 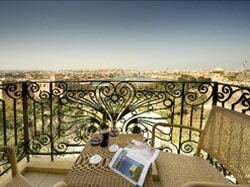 But we can give you a small highlight on where to stay in Malta. The Malta Guide gives you information about: hotels in Valletta, hotels in Rabat, hotels in Mdina and hotels in Victoria. This amazing hotel in Mdina belongs to the Relais & Châteaux group of luxury hotels but still is family-run Hotel situated in the medieval, fortified city of Mdina – just in the heart of the historical center of this great travel destination. The Xara Palace Hotel in Mdina offers 17 individually designed, luxurious rooms and suites that blend traditional decoration with modern comfort. 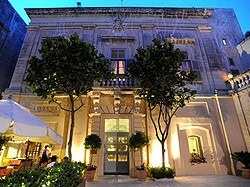 5 star luxury hotel in Valletta considered a national treasure since opened in 1947. Hotel Phoenicia has played a key role in Malta’s social and cultural history. 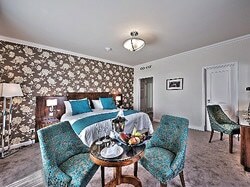 128 guest rooms and 8 suites combine contemporary elegance with a sense of history and charm. Valletta’s best 5 star accommodation for the perfect retreat from the bustle of the city and the ideal starting point for exploring the Valletta and the Malta archipelago.